EasyKlip Tarp Anchor has a patented grip that is created by pulling the wedge into the sleeve, tightening its grip on the fabric. It performs effectively on tarps, poly sheeting, netting, windscreens, covers and awnings. Use it anywhere an instant, reliable fixing point is needed. 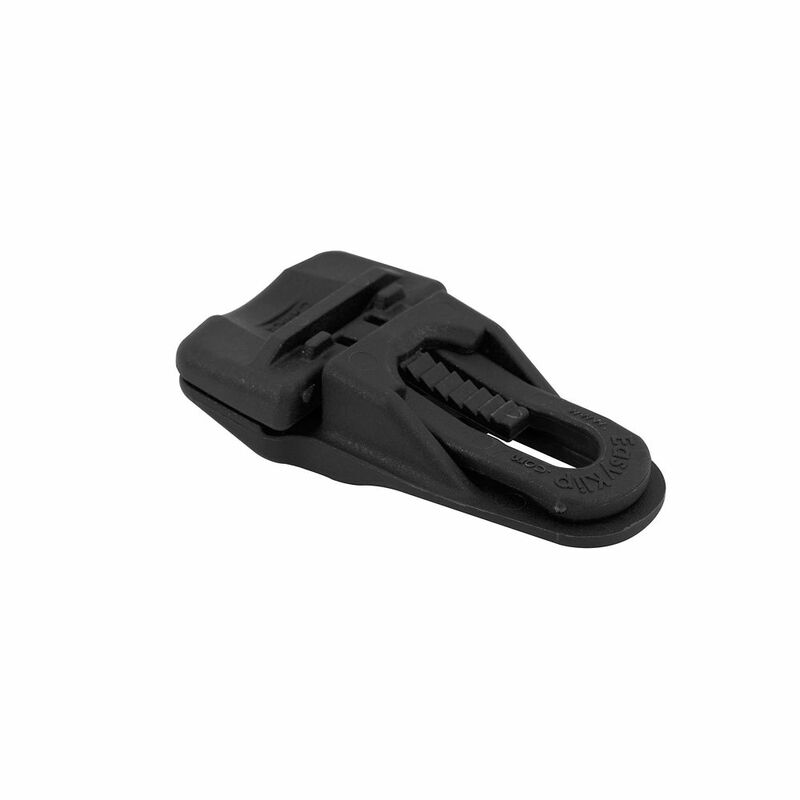 KEEPER<sup></sup> Swivel Rope Hooks are ideal for attaching ropes and tie-downs to pickup trucks and trailers, and are perfect for securing rafting or camping gear, moving furniture, and many other cargo transport applications. These hooks are performance manufactured from galvanized steel so they resist rust and deliver unsurpassed durability. Swivelling hooks can be used for a variety of different applications and fold neatly out of the way when not in use. KEEPER<sup></sup> includes all the hardware needed to install the hooks easily and reliably to any location on your vehicle, making the Swivel Rope Hooks the best, simplest solution to your everyday needs. EasyKlip, Tarp Anchor Point, Black EasyKlip Tarp Anchor has a patented grip that is created by pulling the wedge into the sleeve, tightening its grip on the fabric. It performs effectively on tarps, poly sheeting, netting, windscreens, covers and awnings. Use it anywhere an instant, reliable fixing point is needed. EasyKlip, Tarp Anchor Point, Black is rated 1.0 out of 5 by 1.